This is the Kontronik Kosmik 200 HV Brushless ESC. The KOSMIK delivers incredible power for ambitious pilots with the KONTRONIK reliability you have come to trust. 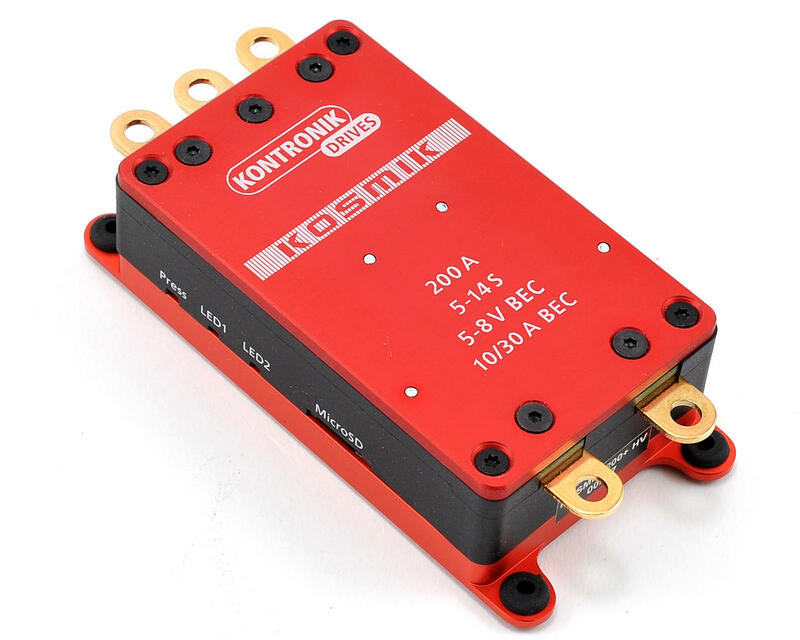 With the ability to deliver 200A of continuous current with 5S to 14S LiPo setups, the KOSMIK can easily push any high power model into motion. With its integrated and adjustable BEC, the KOSMIK even supports HV servos! Different modes for sailplanes, airplanes, helicopters, boats and RC cars (including forward and reverse drive) make the KOSMIK flexible for a variety of applications. Two helicopter modes include a fixed RPM function, as well as a spool up optimized for scale helicopters and tailor made motor and battery cables as well as one BEC cable round out the package. The continuous current is setup for a maximum battery capacity of 10,000mAh, and optional special KOSMIK heat sinks are available to help guarantee the maximum power and reliability of this ESC. BEC: The strongest BEC KONTRONIK has ever developed. With a voltage from 5V up to 8V and a current capacity of 7A continuous and up to 20A peak the KOSMIK is the ESC for the most demanding tasks. 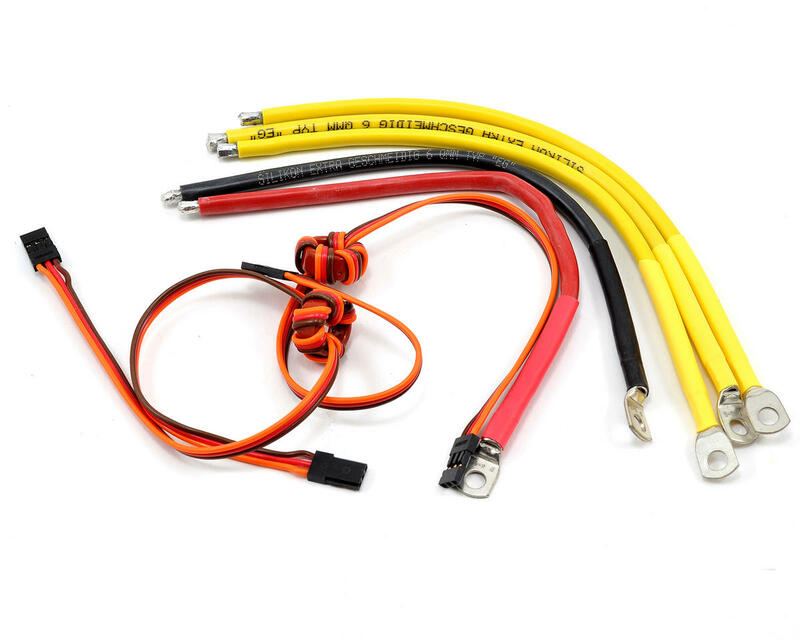 Two BEC ports allow for using full current when using the second BEC cable. Screwed instead of soldered: No wires. This is the first thing you notice looking at the KOSMIK. In order to handle the enormous power, the KOSMIK is provided with gold tabs instead of the familiar soldered cables. Before usage cables and tabs are connected via screws and cable shoes. This concept makes exchanging cables easy and provides a reliable high current connection. Data interfaces: In addition to three connectors for sensors and telemetry, the KOSMIK features a micro USB port to quickly deliver and process operation data. Mode-Programming: The well-known and proven KONTRONIK Mode-Programming is also implemented in the KOSMIK. The ESC is can be customized for different applications in a short amount of time. PROGDISC Compatible: The KOSMIK can be parameterized using the KONTRONIK PROGDISC. This allows the user to change individual parameters and helps to adjust the KOSMIK to your personal preferences. Online Updatable: The KOSMIK can be updated online. This allows software updates to be done easily at home. Long downtimes caused by sending and waiting are a thing of the past. LED: Equipped with two bi-colored LEDs the KOSMIK offers a wide range of signal outputs. These can be used for both diagnostic purposes, as well as for programming support. Logger: The KOSMIK offers the ability to record operating parameters internally. Internal recording delivers more detailed data than an external system could ever supply. With the high recording capacity and speed KONTRONIK delivers state-of-the-art technology. 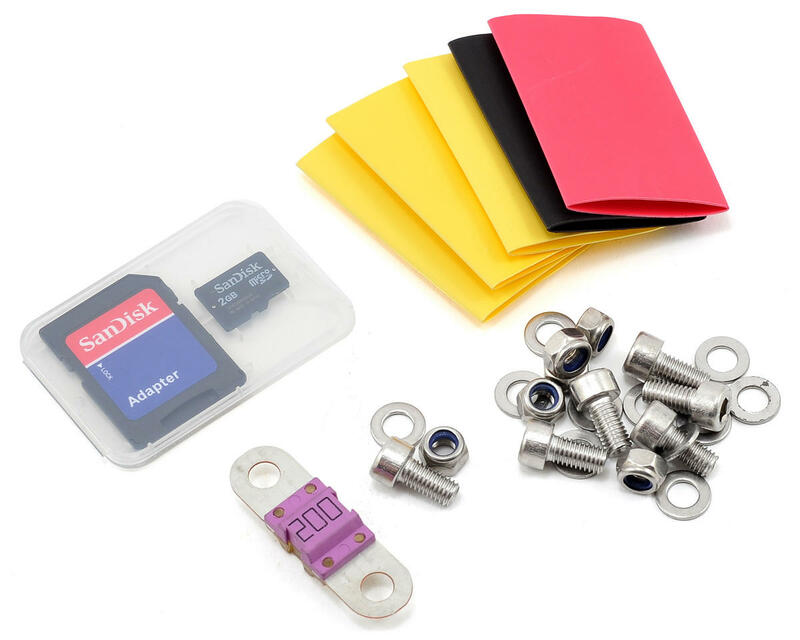 MicroSD Card: All recorded data is written on a MicroSD card. This enables a flexible analysis of data.